In life, we often take bad decisions due to the unsettled mind, which has emerged as the aftermath of fast paced lifestyle. We need to sleep over the issues and calm our mind so as to take wise decisions. Living amidst nature will help us to calm our mind which is crucial to take these life changing decisions and Rise Developers serves you a peaceful residential living amid subtle luxury, enhanced by nature in their upcoming project Organic Homes. 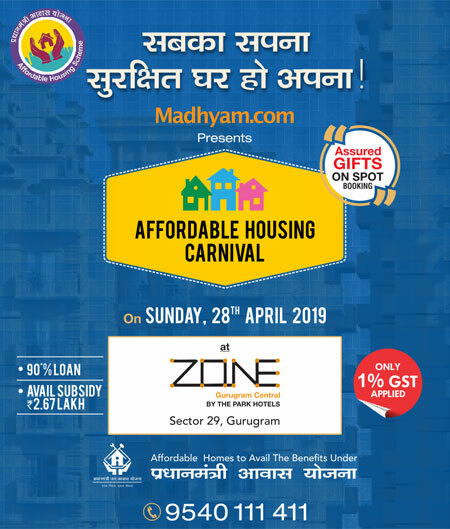 Pioneered by one of the acclaimed real estate firms, who are known for their quality and innovative constructions over the NCR, Organic Homes is located in NH 24 Highway, Ghaziabad, a city which has paced up the realty graph over the past year. Rise Organic Homes has all elements to place it among the success projects lists of Rise Developers like the Sky Bungalows in Surajkund. Organic Homes has a plethora of state of art features under its belt that makes it your dream come true venture. One of its kinds in the region, Organic Homes is available in ultra luxurious 2, 3 and 4 BHK apartments. Its dream amenities include a half basketball court, badminton court, kids play area, club house, party lawn, amphitheatre, yoga lawn, flower bed, shopping street, jogging track and much more! One of the key USP’s of Organic homes is the awe inspiring infinity pool at the roof top which is supposed to be Ghaziabad’s first of its kind. 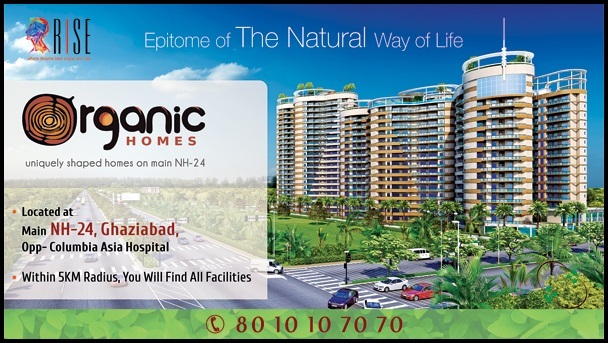 Located in main NH 24, Organic Homes have close vicinity to Ghaziabad. Through Noida Expressway, which links Greater Noida and NH 24, agonies related to commutation to Organic Homes can be nullified. Rise Organic Homes also has healthy connectivity between Delhi, Gurgaon and Faridabad. Organic Homes Ghaziabad has a healthy number of educational institutions close by, especially a handful of engineering colleges along with hospitals like Columbia Asia Hospital to counter emergency situations. Hence the 5 acres widespread Organic Homes, which will be ready for possession by 2018, will be another successful tale by Rise Developers in the National Capital Region.